Autumn has arrived. That only means football season has finally come, and new shows are back on TV. Autumn also means having to deal with leaves falling in your pavements and lawns. But at least nowadays you don’t have to rely on just your rake to collect all of them. With a petrol leaf blower, the chore becomes so much easier, and it’s even fun. Nowadays, you have a wide range of options when it comes to your leaf blower. A look at the available options among the Tanaka leaf blower models shows you just what kind of choices you have. They’re all of high quality, and they illustrate how modern leaf blowers have become more powerful and yet quieter than ever before. Tanaka TRB-24EAP Petrol Blower. This is a handheld model that makes quick work of even big tasks. The 23.9 cc commercial-grade engine doesn’t produce as much fumes, which makes compliant with CARB Tier III standards. But it delivers airspeeds of up to 170 miles per hour. Tanaka THB-260PF. This is a commercial-grade handheld blower with lots of special features. The extra-long nozzle offers more control, and you’re more comfortable with the soft grip. It’s even set up so that with a vacuum kit, it acts as a leaf vacuum and shredder with a 2-cubic feet bag capacity. Tanaka TBL 4600. This is a backpack blower, with a very powerful engine that provides an air volume of 500 cubic feet per minute at a velocity of 200 miles per hour. This is the unit you want when you have large areas to take care of and you’re often faced with wet, matted leaves. Tanaka TRB 65EF. This is Tanaka’s most advanced back pack blower. It’s equipped with an ergonomic harness, a balanced weight, anti-vibration features for a more comfortable job, an extra-large handle, and an extra-large fuel tank with a translucent cover so you know how much petrol you have left. With your leaf blower, you can blow the leaves straight onto a plastic mat on your lawn for an easy cleanup. You can easily deal with wet leaves on your lawn or parking lot, and deal with leaves under your fencing and on your vehicles and farming equipment. It’s great for rubbish disposal as well. Keep safety in mind. That means you don’t use it when you’re not feeling well, when you’re in a poorly ventilated area, or you’re stepping on a ladder or some other unstable surface. Using your petrol blower may be fun but it’s not a toy, so don’t let your children use it. Don’t point the blower at people and pets, and turn it off if people approach you. Make sure it works properly, and don’t even think about modifying the leaf blower yourself. You also need to dress properly. Ear plugs are a good idea, and so are goggles that actually protect your eyes. Use heavy-duty work gloves with non-slip features. Don’t wear anything loose, and tie back your long hair. Long trousers and sleeves are also recommended, and shoes should have none-slip soles. If dust is a problem, use a face mask. If you’re using a petrol blower, be mindful of the flammability of the fuel. Don’t spill the petrol, and if you do wipe your blower dry first before you use it. Don’t even think about smoking while working and start the blower when you’re at least 10 feet away from your fuel source. When you refuel, let the engine cool off first and loosen the cap slowly to ease the pressure in the tank. When you’re done refuelling, tighten the cap securely. A petrol blower can be noisy, so be polite and don’t use it when people are asleep. Use the lowest setting for the job, and use the nozzle attachment for noise reduction. Don’t point your blower towards people or their pets, cars, and houses, and don’t blow the debris into open doors and windows. 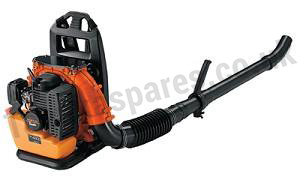 Getting rid of the leaves in autumn can be done efficiently, with the right petrol leaf blower. Just learn how to use it properly, and you shouldn’t have any difficulty.